Just in time for Spring, I’ve completed my new Learning Curves Table Runner. While I’ve sewn lots of curves in garments with sleeves, patchwork curves can be a bit daunting. This is where quilt master, Johanna Masko, always comes in to save the day. Just filter a new technique, pattern or idea through Johanna and it will come out being more efficient, logical and quick. the workroom is spoiled by her ability to simplify all things patchwork – English Paper Piecing, Machine Paper Foundation Piecing, Cathedral Windows, Double Wedding Ring Quilt, etc, etc. 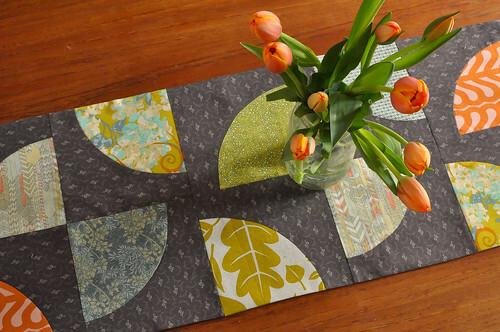 This table runner is a fun and fast project. With just twenty blocks, I was able to practice my curved piecing enough to feel confident. Following Johanna’s great insight and techniques, I finally understood what to adjust to get those curves pretty perfect. 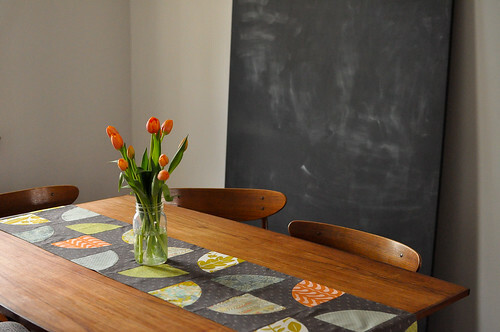 I love how this quick project can give a new look to our dining room. 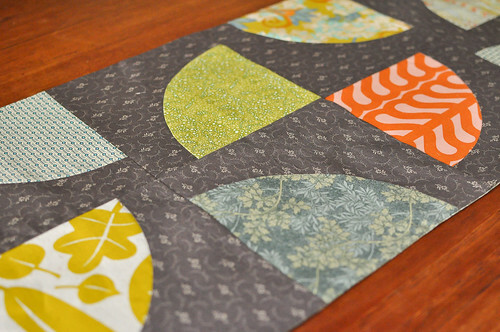 Note to self : make more patchwork table runners. 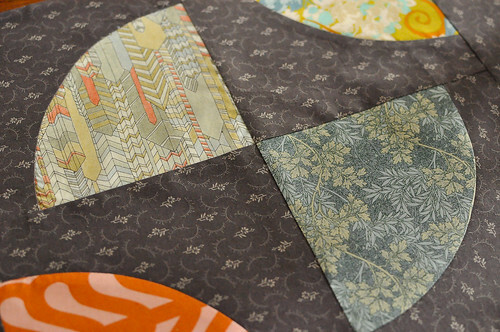 Next up, Johanna’s take on the Lone Star quilt. Superstar Quilt class starts tomorrow! Oh, I really like this Karyn! I was showing my guild a couple of techniques for putting together drunkards path blocks so I should really just assemble them into something practical. I love the colours you chose.